There are almost 1.3 million lesbian girls, gay boys, and bisexual people of high school in the United States, according to the first nationwide survey measuring their numbers and attitudes toward risk. The LGBT students about 8 percent of the total are nearly five times more likely than their straight peers to have attempted suicide and more than four times more likely to have experimented with hard drugs like heroin and meth. We need need give more attention to the lesbians, gays and bisexuals. 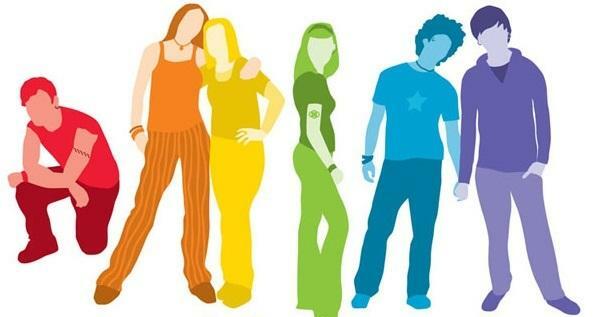 Gay boys, lesbian girls and bisexual people are more likely to engage in many of the risky behaviors the CDC measured. Though they are less likely than straight students to carry a firearm in public, they are more likely to carry a weapon to school (6.2 percent) and twice as likely to have tried marijuana before age 13 (13.9 percent). They are also more than twice as likely to skip school out of safety concerns (12.5 percent) and almost twice as likely to have been threatened with a weapon at school (10 percent).